"As for your health, you need a doctor; as for school you need a teacher; as for your soul, you need a guide." Yogi Bhajan is the Master of Kundalini Yoga and this book is filled with his beautiful yoga sets and wonderful meditations. 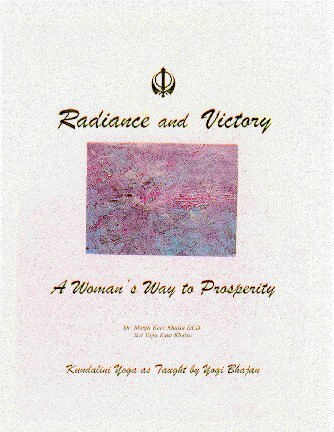 This is a spiritual approach to prosperity and it takes you on a journey that touches your heart and soul.